Of course, UMass Boston has certificate and graduate programs eight miles away in these areas. 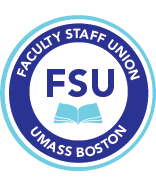 FSU President Marlene Kim informed the Board of Higher Education (BHE) of this and the harm that competition with UMass Amherst will inflict on us at their meeting on May 2. (See my comments to the BHE here). ► Because of mounting opposition to his plan, UMass President Meehan has asked the Attorney General to expedite the approval of the Mt. Ida deal. Email the Attorney General with your thoughts at AGO@state.ma.us.